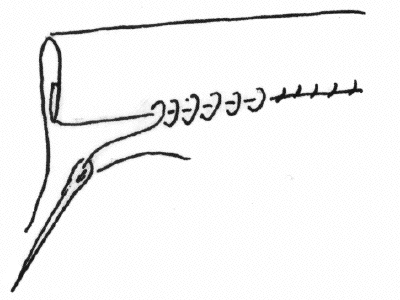 Perhaps the simplest of stitches, the thread runs straight through the fabric without doubling back on itself. Used to join fabric for gathering and mending. Similar to a running stitch with very long stitches. Used as a flexible alternative for pinning and for gathering, it can be pulled out easily. 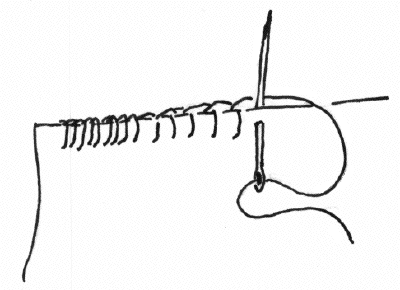 A strong stitch, the back stitch is formed by pulling the needle through the fabric, then doubling it back on itself. The needle emerges beyond the stitch just made, and doubles back again for the next stitch. 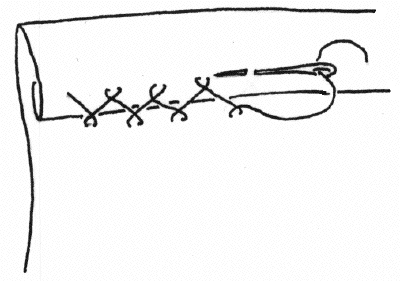 A basic over-and-over stitch, can be used to form a hem or seam. Basically, a whip stitch on the raw edge of fabric, used to finish the edges neatly and prevent fraying. Used to finish a hem or tack facings. 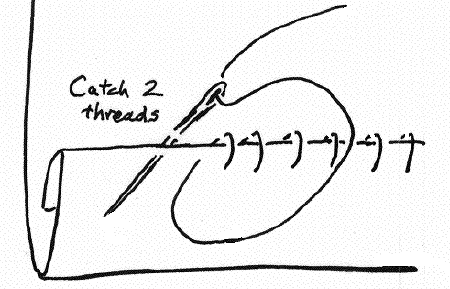 The thread catches a thread or two on the hem, then on the garment, crossing itself on each half stitch. Creates a flexible hem with some give. 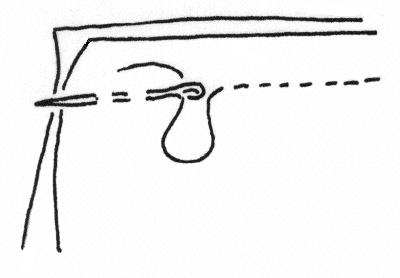 The thread passes under itself on each stitch (forming a half-hitch), binding the edge of the fabric. If the threads are kept tight together, it is a Button-hole stitch; if spaced out a bit (1/4" to 1/2" apart) it is a Blanket stitch. 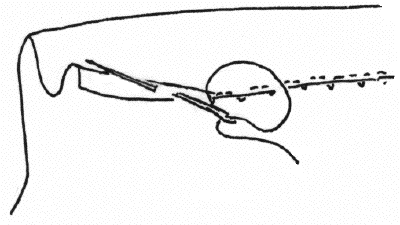 A stitch that is almost invisible from the both sides. 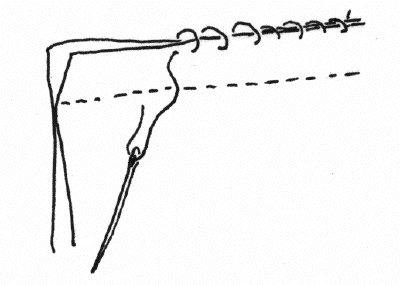 The needle passes inside the fold of the hem, then emerges to catch one or two threads, then back into the folded hem for the next stitch. 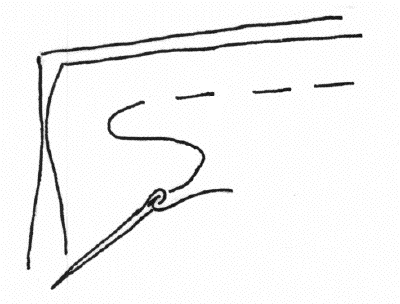 A stitch that connects two pieces of a garment while still allowing movement between them. The thread is tacked to one piece of fabric, then a chain knot is made with the thead, similar to a crochet chain. 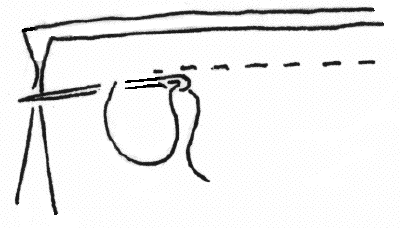 The needle is passed through the last loop of the chain knot to lock it, and that end is then tacked to the other piece of fabric.